Hello everyone! Hopefully you are enjoying our recent sun! 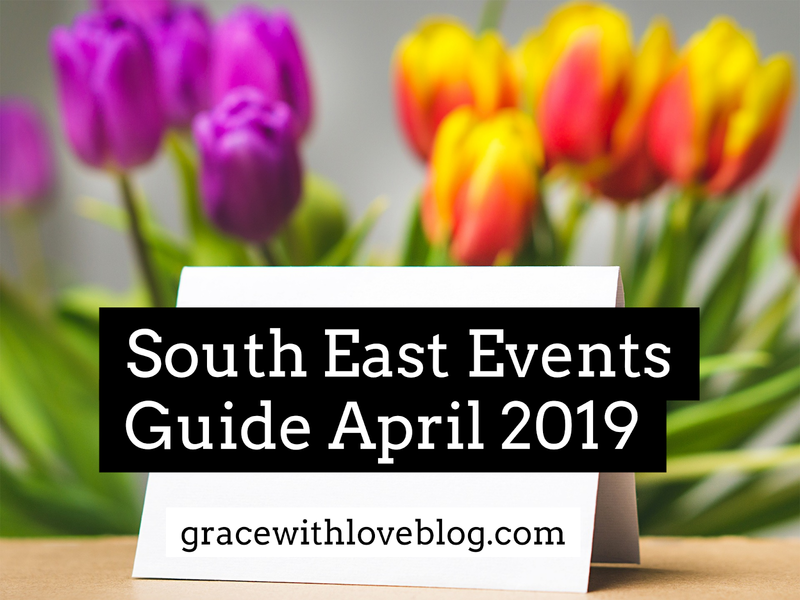 Welcome back to our new monthly series "South East Events Guide". We are always on the lookout for amazing fashion, sports, cultural, food and music events that are happening in the South East. This guide illustrates some amazing events that are happening in the counties of the South East- Wexford, Carlow, Kilkenny, Waterford and Tipperary in April 2019. Whether you are into food, sport, fashion, culture, music etc. we will try our best to find some interesting accessible events. 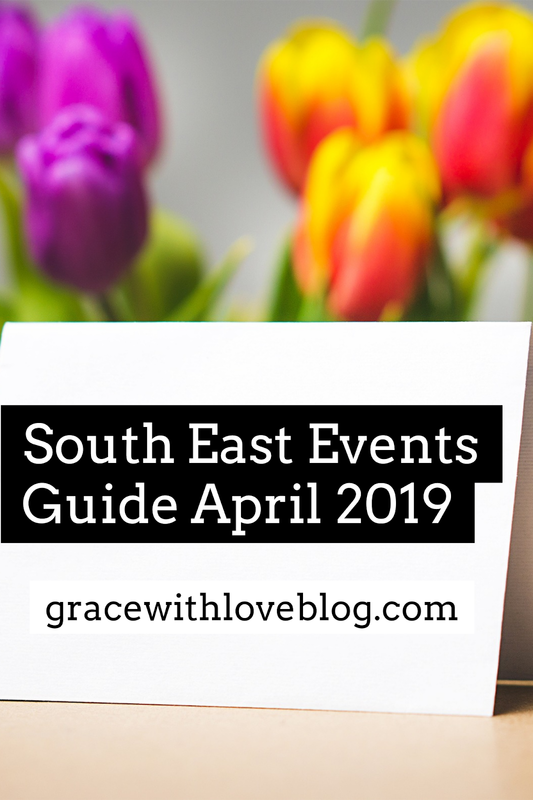 If you enjoy our events posts make sure to follow us on instagram @gracewithloveblog and spread the word to your family and friends living in the South East who may find this guide informative! Enjoy! This is a free weekly timed 5k open to all who want to walk, run or jog. Comedy Event: What's the Story Rory? Rory O' Connor is Ireland's favourite online funny man and bestselling author, otherwise known through his sketches as Rory's Stories. Rory examines aspects of Irish life such as the GAA, the Gardaí etc with quick comedic wit. Description: Titanic is set on the ocean liner RMS Titanic which sank on its maiden voyage on April 15th 1912. Maury Yeston and Peter Stone's musical tells the tragic story with a compassionate book, intelligent lyrics and choral melodies. Description: Technology is all around us, however, are we using it in the right way? Is it being used effectively to ensure that learners that most need help are getting the support they need to succeed in the classroom? This hands on learning experience will explore the array of technology supports that are available to meet the needs of all learners. Description: This charity event raises funds for the Hope Cancer Support Centre and County Wexford Hospice Homecare. This is a 10K/ mile walk, run or jog. The 10k is open to over 18's only and there is a Little Dreamer's Dash for kids. An bhfuil cúpla focail agat? Would you like to learn more Irish or practice and revive the skills you have? Description: The Women in Business Network is a growing organisation of self-motivated business women, supporting their professional and personal development through its successful networking forum. Description: This club is for children ages 7-12 and provides opportunities for children to explore and experiment with contemporary art processes such as printmaking, sculpture, construction etc. Description: Fourth Wall Laois Theatre Group's production of SIVE brings a contemporary viewpoint to John B Keane's timeless tale of young love, materialism, family life and the role of women. Description: An art, activism, and academic platform that examines the notion of Direct Provision centres, asylum seekers and refugees. Artist Vukasin Nedeljkovic's work highlights the injustices and confinement faced by asylum seekers in Ireland. Description: Egg and Spoon is the perfect introduction to the magic of theatre. The show takes children on an interactive trip through the seasons and opens their minds to the gifts of nature throughout the year. Hopefully you find some fun events to enjoy this April! Remember to follow us on instagram @gracewithloveblog to keep up to date with our latest events posts and fashion, beauty, educational and wellness content!